Therefore I am very happy that Prof. Pérignon, one of the co-founders, has written a short introduction for our blog. 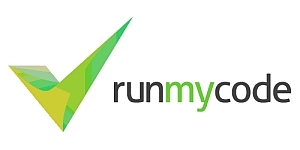 If you would like to get more information about RunMyCode just visit the website or contact the team. 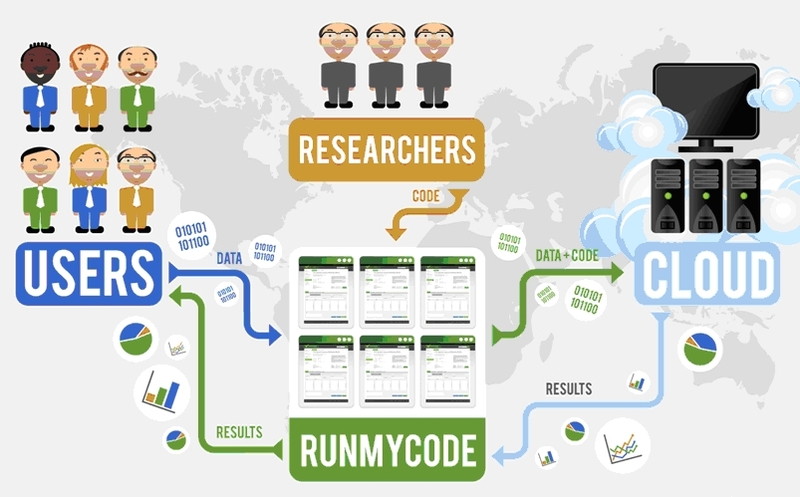 “The RunMyCode.org website was launched in January 2012 to disseminate code and data associated with published computational results. It is a non-for profit website founded by university professors, and aimed at the computational academic community (statistics, applied mathematics, engineering, economics, etc). It is based on the innovative concept of creating a companion webpage associated with a scientific publication (i.e. an article or working paper). A companion webpage is a webpage that allows people to run computer codes associated with a scientific publication using their own data and parameter values, or download the code and data directly through the webpage. For an example of a companion webpage see, http://www.runmycode.org/CompanionSite/site.do?siteId=18. The companion webpage permits verification of the published results either directly through the companion webpage and in the cloud, and locally by downloading the code and data on to a user’s local system. Verifying published results through the companion webpage requires a web browser as calculations are done on a dedicated cloud computer. Once the results are ready, they are automatically displayed to the user (See infographics below). Both the use and the creation of the companion webpages are free and do not require any particular programming skills. The author can create the companion webpage through a step by step interface on the RunMyCode.org website, including uploading his or her code and data. The RunMyCode.org concept can be viewed as a novel attempt to provide, on a large scale, an executable paper solution. The difference between this and the executable paper approach proposed by the scientific publishers (see for the instance the Elsevier’s Executable Paper Grand Challenge, 2011) is that the companion webpage is not encapsulated within the text of a scientific publication. In that sense, a companion webpage can be considered as providing additional material for a scientific publication, in particular the digital objects that permit verification and replication of the published computational results. to allow members of the academic community (researchers, editors, referees, etc.) to replicate scientific results and to demonstrate their robustness. Step 1. Define the proelbm. Make sure only one proelbm is being studied.Step 2. Research the proelbm. Use all available resources to collect data on the subject being covered. Libraries, Internet, books, magazines, personal interviews, etc.Step 3. Develop a hypothesis ( educated guess ). Make it a short definitive statement. It should be an if then statement. The if part will become the hypothesis and the then part should be the results received at the end of the controlled experiment. Remember your hypothesis can be changed it is not formed in concrete.Step 4. Develop a controlled experiment. A controlled experiment is an experiment that contains only one experimental variable. An experimental variable is the thing being tested. Everything else in the experiment or all other variables, must be the same. These variables are also called the controlled variables. Keeping these variables the same allows the experimenter to show that it was the experimental variable that caused the results.Step 5. Analyze the data and come up with a conclusion. The conclusion may or may not support the hypothesis. Additional experimentation must then take place to build documentation concerning the proelbm. If the hypothesis is proven wrong, change the hypothesis, not the data.